You’ve heard it all before: watch the pennies and the pounds will look after themselves. But how can you really get a handle on your finances? We take a look at some of the truths you need to confront and some of the tools and techniques to get your household budget under control. It’s not fun or glamorous. But it is essential to avoid that sinking feeling when you get to the end of the month and are left wondering where the money disappeared to. So stop free-falling and keep reading. All banks have a free app to help you manage your money, make payments and review your spending. Get it glued to your home screen and check out what tools they have that can notify you of your balance on a regular basis and warn you when you are about to become overdrawn. Whether you’re buying a product or service, shopping around online and researching your purchase is the best way to ensure you’re not paying over the odds. Whatever you’re about to buy in a shop, if it’s something you don’t need today, you may be able to find it cheaper online and have it delivered tomorrow. Yes, you should support local high street businesses where you can, but not at your expense. Use Google to check prices, and don’t forget the delivery charge. Switch, switch, switch! Why pay more for your energy, internet or broadband contract when you don’t have to. Everyone’s doing it and if they’re not, it’s because they can afford to throw money down the drain. Read our step-by-step guide to energy switching to find out how you could save hundreds of pounds. If you want to keep track of your energy usage, the best way is to give regular meter readings to your energy provider. This helps your supplier to keep your bills as accurate as possible. Meter Readings is an app that makes it easy to monitor up to nine separate household utility meters. Once you enter readings, your usage, costs and savings are calculated and displayed in easy to use visualise graphs. One in ten of us now do our grocery shopping online. This is a great way of managing your costs and to avoid being tempted to spend above your budget. Supermarkets often offer money-off for new online customers. If you prefer to feel before you buy, then create a meal plan for the week and write a shopping list or take pictures on your phone of the contents of your fridge, freezer and food cupboards before you head to the supermarket, to stop you doubling up. The Aldi and Lidl websites show weekly offers so you can go with an idea of the bargains you want to bag. If you see non-perishable everyday items on offer such as shampoo, it makes sense to buy it in bulk. If after all this you’re still over spending, find out where the problem area is. Keep your receipts so you can write down everything you buy, put each item into categories and try to work out how you could do better. With the contactless payment facility on most bank cards today, the ability to spend just got easier. If you are trying to keep to a budget, then using cash to budget your lunch money for the week, or on a night out will help you stay in control. We’ve all been there. You need to cut back on spending but Netflix is less than £10 a month, and you almost use the gym enough to make the membership fee worthwhile. We can talk ourselves out of cancelling the small stuff, but when you look at all these outgoings in the round, they all add up. If you’re trying to control your monthly outgoings, then look carefully at your annual and monthly subscriptions, especially direct debits and those that might auto-renew. If you own your own home, then your biggest outgoing will be your mortgage. 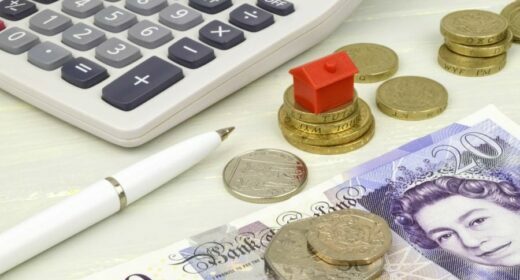 Given this, remortgaging should be top of your list of money saving measures. And with interest rates at an all time low, there is no better time to remortgage. Now you’ve got the tools you probably need a mantra to. Try these three questions: Do you really need it? Will you use it? Is it good value for money? They’re critical questions you need to ask yourself before you buy anything. For more homeowning tips or advice on a specific query, join us as a member and we’d be happy to help.